Where do I start? 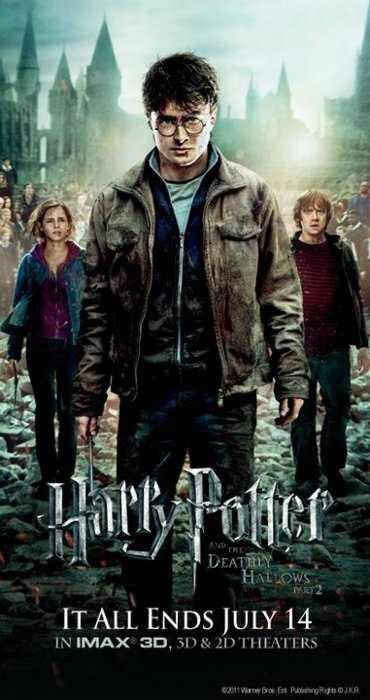 Normally, whenever a new Harry Potter movie comes out I will re-read the books, or re-watch the movies. Things didn’t exactly go as planned this time around. I would like to tell you that I’m so caught up in George R. R. Martin’s Song of Ice and Fire Saga that I didn’t get around to re-reading the books. That’s not true. Somehow, I seemed to make time for Stefan Salvatore, but I didn’t have any for Harry Potter. On July 7th, the cast & crew gathered in London for the “Harry Potter and the Deathly Hallows pt 2” world premiere, and I didn’t watch. Not live, anyway. Instead, I caught the vids on YouTube, and looked at the pics on Tumblr. I cried through every single one. It is because of this that I was not going to re-watch the movies, either, but everyone around seemed so caught up the goings-on, that I succumbed to peer pressure. “A television is easy to turn off,” I told myself, but something strange happened. 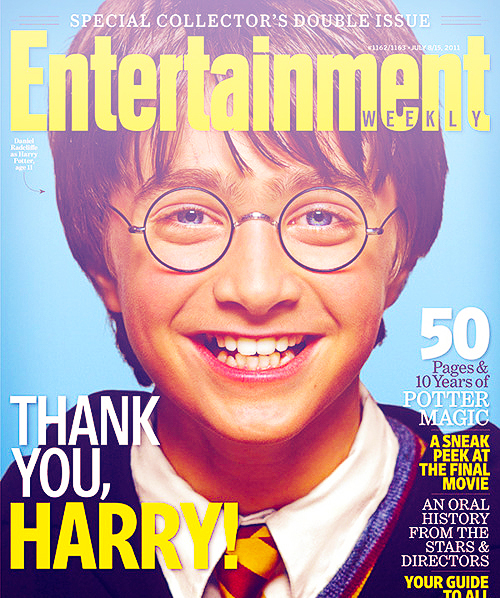 As I sat down to watch “Harry Potter and the Sorcerer’s Stone” for the umpteenth time, I didn’t cry. Instead, I laughed. I laughed, because I learned through revisiting the films that I’m not losing my friends. The friends that I’ve made through the 4,176 pages of the series would live on forever. How do you say good-bye to the little boy who lived beneath the cupbard? To the red-headed boy from a large family who only wanted to be recognized for himself? To the frizzy-haired little girl, from Muggle parents, who used her Type A personality to try and fit in? The answer is easy, you don’t. Instead you remember them. You may not know what it feels like to lose both parents in a horrible accident, only to be raised by family who didn’t want you. You may not be from a large, poor family, and feel lost in the shuffle. You may not know what it feels like to be discriminated against because you are different, or are considered being of “inferior” birth. None of us has the power to levitate feathers with two words (Wingardium Leviosa). Luckily, none of us have the power to kill with just two more (Avada Kedavra). But there may be things we can relate to. You may be able to relate to feeling like you can do nothing right. Like Neville Longbottom, you may come from a family that has people who have done extraordinary things, and feel you don’t quite measure up. Maybe, like Draco Malfoy, you come from a powerful family, and feel pressure to live up to your family name. No matter how great, or terrible, that name might be. Maybe you come from a quirky family that others snigger at behind your back (or to your face), like Luna Lovegood. Maybe, like Severus Snape, you know what it feels like to love someone with all of you heart that you would be willing to give your life for them, even if it was unrequited. I hope you are not able to relate to being so angry at how your life has started out that you become full of anger, mistrust, and hate. If you are, take this tale as a warning. We all know what if feels like to be picked on, make new friends, fall in love for the first time. We all know what it’s like to lose people we love. Maybe they fall out of your life because you’ve grown apart. Maybe, things were said that you believe can’t be taken back. Maybe, they have passed away. We all know what it’s like to grow up. To lose the innocent eyes of a child, and see things as an adult. I hope you don’t lose your imagination. I hope you don’t stop seeing the wonders of the world around you. Harry Potter has taught us many things- friendship, family, loyalty, love to name a few. You may not be able to make things happen with a flick of the wrist, or a few words, but true magic never dies. What Harry Potter taught me, was that magic lives on in each of us. Like Voldemort, we can all do great things, though they need not be terrible. I learned that even when you make mistakes, it’s never too late to set them right. I also learned that there is no fear in a name. In the past 14 years of Harry Potter, I’ve learned many things. Too many to list here. One thing I’ve learned, that I hope to one day tell my children, is that whenever you are afraid, just remember to turn on the light.